The LASER CLASS 510 provides unsurpassed facsimile and laser printing with advanced features that makes it a powerful productivity partner, making the most demanding jobs quick and affordable. The LASER CLASS 510 includes copying solutions that have 1200 x 600 dpi resolution, a 50% - 200% Zoom Ratio at 1% increments, exposure control, and convenient preset enlargement and reduction settings. Using paper sizes from envelope to legal, the LASER CLASS 510 can provide copy runs of up to 99 copies - and can even employ electronic collating, generating ready-to-use documents. With its standard, built-in Windows® Printer Driver, the LASER CLASS 510 provides desktop 15-ppm laser printing via USB. 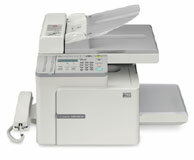 The LASER CLASS 510 also provides PC faxing as a standard feature. Its Super G3 technology provides industry-leading facsimile speed, and the LASER CLASS 510's 8MB of memory stores up to 500 pages of documents. 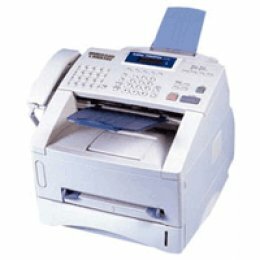 The LASER CLASS 510 also has a host of convenience features that streamline office jobs, like Print-in-Order output that gives you ready-to-use documents, Full Dual Access that enables scanning and faxing simultaneously, and a 250-page paper capacity that can handle your most demanding requirements. No matter how demanding the task, the LASER CLASS 510 has the capability to handle virtually any faxing, printing or copying job.